After breakfast you will spend this day to visit historical places of Marrakech like the , the , the Then you will to Menara gardensKoutoubiaSaadianand theprivate museum of Marrakech.continue to visittheDjemaaElFna square,the beating heart ofthe city andalsocrossing pointto enterthe maze of alleysthat form theSouks.Dinnerand overnight will be atyour hotel/ Riad. Today and after breakfast you will have the opportunity to visit many places in Rabat, the capital city of morocco, like the Royal Palace (outside), Kasbahs and Oudayas, the Tower of Hassan, and the Mausoleum Mohamed V. After lunch we will go to discover Volubilis with its important ruins of the Roman Period. Then we will continue to Meknes where you will have dinner and spend your night. After breakfast, you will have a full free time to visit the oldest city of the imperial capitals of Morocco: Fes. Dinner and overnight will be at your hotel/ Riad in Fes. After breakfast you will begin your guided tour of the medina, one of the world’s largest walled in cities. You will explore the narrow streets lined with fresh fruit, mounds of spices, intricately woven Berber carpets and many other art objects of Morocco. After breakfast, we will depart to Erfoud through the middle-atlas through the mountains with strange colours. Dinner and overnight will be at the hotel. After breakfast you will take the road through the palm , through . Then you will have a ofJorfthe KsarofTourougwalk tourto visit the Todra Gorges.Dinnerand overnight will be in a tentin aprotected Kasbah. After breakfast, you will have a walk tour in the Valley Dades. Then we will continue to Kalaa M’Gouna, that is the land of roses. 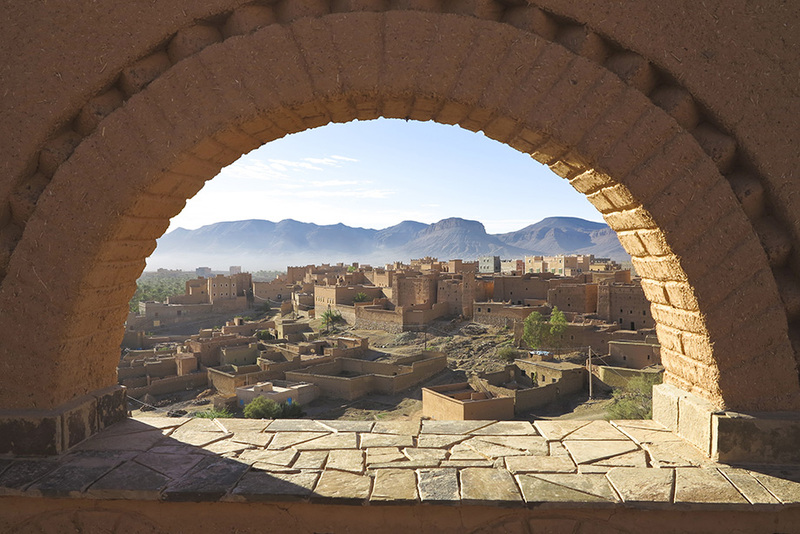 After lunch and upon arrival in Ouarzazate you will visit the Kasbah of Taourirt. Dinner and overnight will be at the hotel in Ouarzazate. After breakfast we will pass through , which is Then we will which . the Kasbahof AitBen Haddoua World Heritageby UNESCO.depart toTaroudantviaTaliouine is best known region forthe cultivation of saffronDinnerand overnight atthe hotel. After breakfast you will make a city tour of Agadir that is Morocco’s leading resort. Then and after lunch we will go to Essaouira. Dinner and overnight at hotel.